Data Acquisition | JAC Manufacturing, Inc.
With the variety and versatility of the sensors available we will accurately sense just about anything- from temperature to flow, from down time to production rates. Once you have this data in our user friendly format you will see exactly what has happened historically and what is happening right now in your processes. Not only does this help you manage the data; it helps you utilize the information to make educated adjustments and decisions for optimizing your process. When we Integrate this information to your control system for seamless close loop process control, you will realize the enormous benefits of true Supervisory Control And Data Acquisition (SCADA). 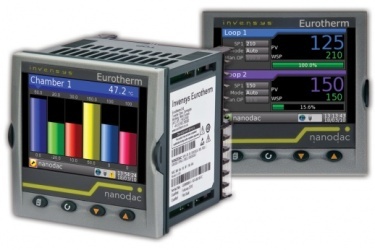 JAC Manufacturing will provide you Data Acquisition and SCADA solutions with a variety of options from Software based products such as Rockwell Automation Factory Talk Transaction Manager to Eurotherm Video Graphic Paperless Systems, Indusoft programming, to Honeywell Paper Chart Recorder. JAC Mfg. will design and integrate a turn key system that best fits your applications and budget.